Hello friends and welcome to another episode of the WCU PodCats Podcast! 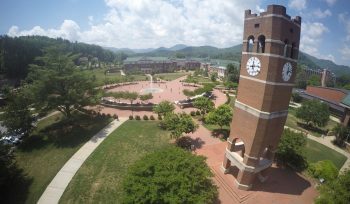 It’s the most special time of the year in Cullowhee… no not the Holiday season, but Homecoming Week! Josh and Patrick are joined by three current WCU Entourage members (Grace, Shannon, and Kiara) to break down all of the exciting events happening this week leading into the big game on Saturday. Make sure you subscribe, rate, and review us on iTunes and iTunesU as well as liking us on Facebook and following us on Twitter. Thanks again for listening and as always, Go Cats!